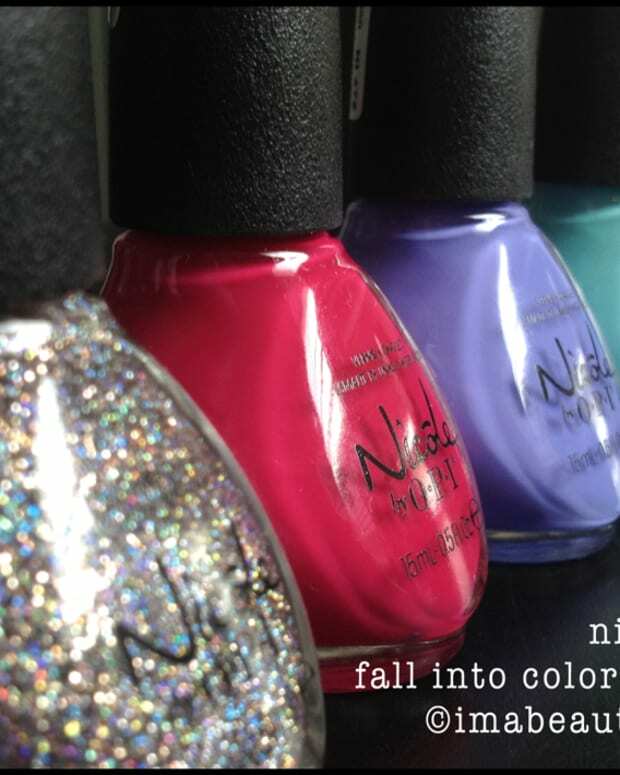 Apparently, as addictive as cocaine... and nail polish. Hi everybody! It’s me! I’m back from the land of the invalid! What had the power to bring me back, you ask? Uh, cookies. 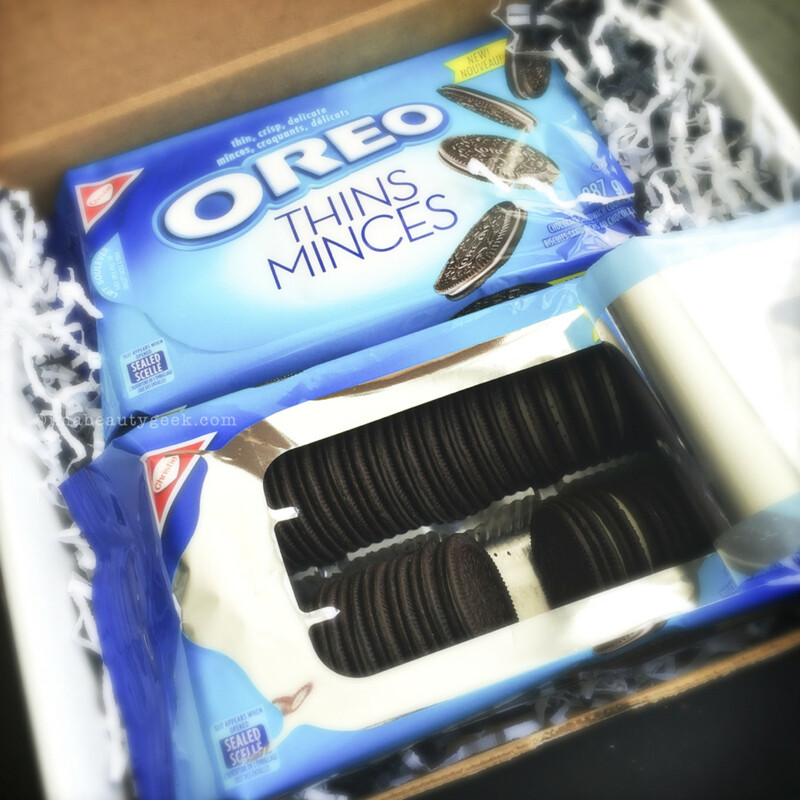 Specifically, the newly-launched-in-Canada OREO Thins. While I was convalescing on da couch, a lovely package arrived from a friend (I hope you all have friends like these). Inside, a note saying “Karen, enjoy new OREO Thins. Maybe with some Black Magic?” Ha! Black Magic in this case is 100% not a box of chocolates. 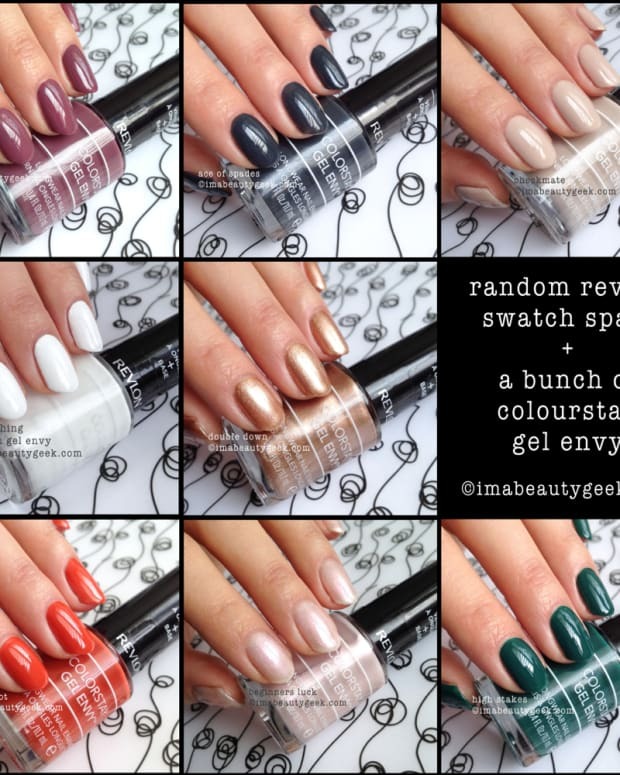 Instead, it’s my all-time favourite OCW!! 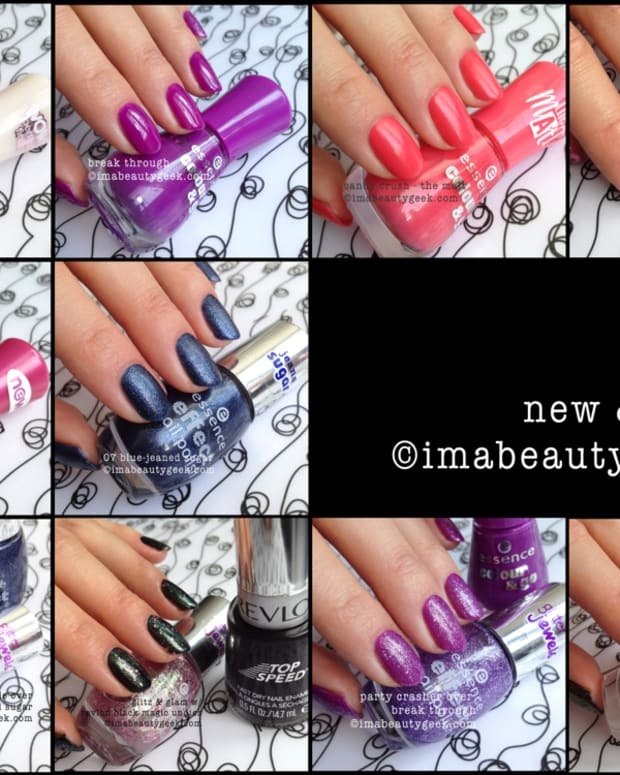 black nail polish – Revlon Top Speed Black Magic. I love it. You know what else I love? These OREO Thins. When I slapped a pic on my FB, there was a flurry of activity from people wanting to know what this new OREO is like. I chose to describe it as an OREO snap. Thinner, crispier and perfectly balanced. It’s like a less-sweet version of a regular OREO except (believe it or not), the proportions of it are exactly the same as a regular OREO. 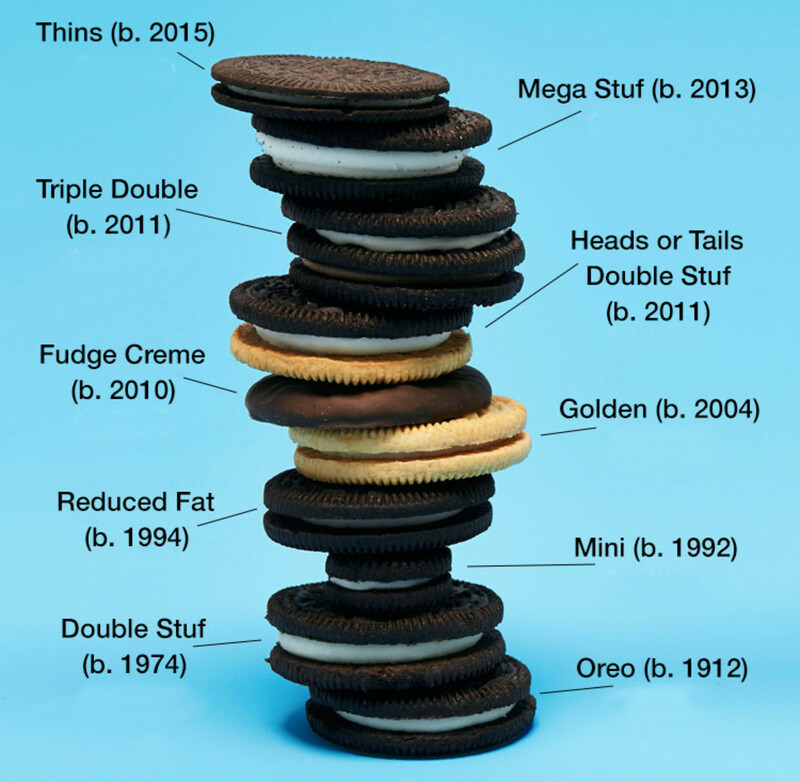 Here, I found this OREO Comparison on the interwebz – it has better pictures than I could take, and includes nutritional numbers for you too. My sweet, sweet delivery didn&apos;t even make it out of the box before I climbed in. Oddly, I’m seeing people complain that the new Thins are hard to take apart. I disagree. The technique is different here – you need to slide instead of twist. I slid-&apos;n-split a bunch of ‘em and had zero breakage. My other half (Nick), had trouble adapting to the new Take-Apart Technique, but after seeing it done properly (by yours truly), he’s now a pro. 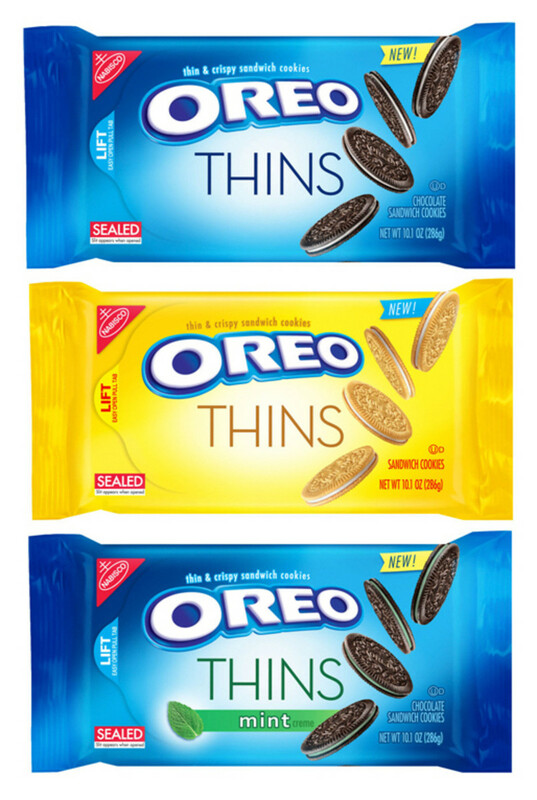 While there are lots of different OREOs out there, from Pumpkin to Mini, out of all the ones I&apos;ve tried (that would be many), the new Thins are my favourite. I like the crispiness of &apos;em. 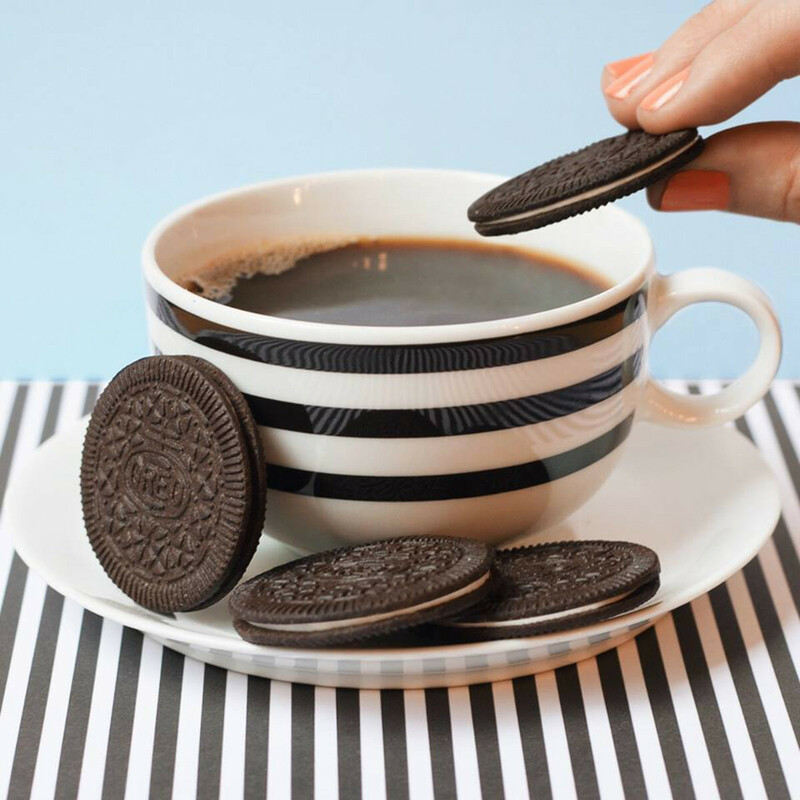 To me, it’s an elegant, elevated OREO. There is however, one significant problem with OREO Thins. When you open the bag, it only has two long rows of cookies. A bag of Original OREOs has 3 shorter, sideways rows. I don’t know about you, but to me a row is a single serving. Is that the kind of problem I can overcome? Dunno, I’m not so great with portion control – you can tell because while I tried really hard to save some of my new OREO Thins to photograph for you, they’re all gone. Oops. So now that you’ve been introduced to this new OREO, will you head out to the store and chuck a pack (or three) in your shopping cart? Or maybe you’re in the US and have already tried &apos;em? If the two of you have already met, I’d love your thoughts! Me? I gotta go to Shoppers (my closest source of OREOS) and get me a pack of the Golden Thins. Then I’ll need to examine them closely to see if they’re really as addictive as The Washington Post says they are.